Impingement Syndrome Symptoms - Jeffrey H. Berg, M.D. Impingement syndrome symptoms are very common. 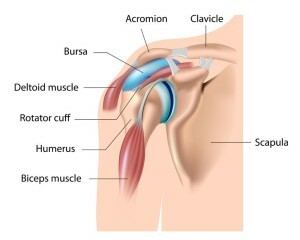 In fact, these symptoms are perhaps the most common shoulder symptoms that bring patients to the doctor. This is likely because almost any shoulder problem, including isolated impingement syndrome, can have these same symptoms. Often, however, these symptoms occur alone. Either way, the impingement syndrome symptoms are frequently the same. 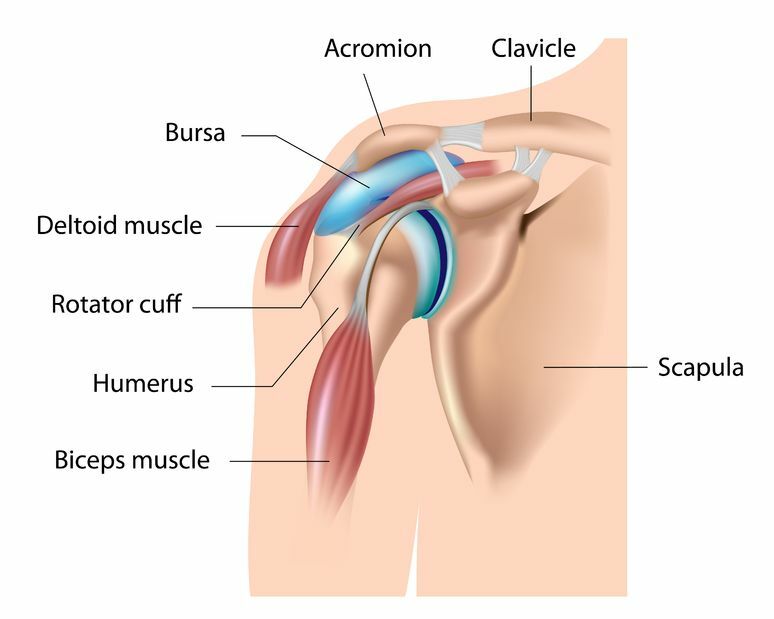 As you may recall from an earlier post, impingement syndrome describes painful inflammation of the normally occurring, thin sac (bursa) that sits between the rotator cuff and the bone on the top of the shoulder, the acromion. As this sac becomes inflamed, it thickens. This thickening of the bursa then makes the bursa even more likely to get pinched. This leads to further inflammation…and further pain. 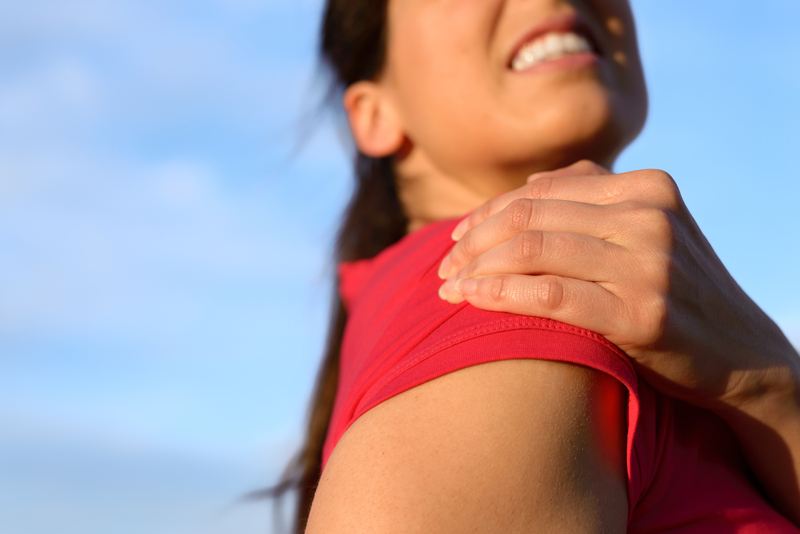 This “bursitis” often occurs along with some dysfunction of the shoulder. Usually this is a loss of motion. The primary motion affected isa reduction in the ability to put your arm behind your back. Impingement syndrome is one of the most common causes of shoulder pain. Fortunately, when properly diagnosed, it is usually easily treated. So what are the common impingement syndrome symptoms? As you can see, pain is the predominant symptom. Unfortunately, this is a very nonspecific finding and can be found with almost any shoulder problem. That is why it takes a well-trained shoulder specialist to properly diagnose and treat your problem. So, if you are suffering from any of the symptoms listed above, it is probably a good time to get your shoulder evaluated :-( .